The Leadership Ecology Adventure Program (LEAP) provides kids from around the world with a hands-on, summer outdoor immersion. LEAP is 9 days of transformational, outdoor living and learning! The Leadership Ecology Adventure Program (LEAP) provides kids from around the world with a hands-on, summer outdoor immersion. For over 10 years we have been offering this an exceptional experience that provides participants with a sampling of outdoor activities while developing their leadership skills and gaining knowledge of both environmental issues and local ecology. LEAP is a dynamic and experiential program that focuses on both the hard and soft skills associated with living well and being in the outdoors. During the 9 day residential program, students will have countless opportunities to positively interact with each other while creating memories to last a lifetime. Who ever thought school could be so cool! Download a full resolution LEAP 2019 Poster for printing and posting to your networks. Simply put - LEAP will surely be the best experience of your summer. Learn valuable interpersonal wilderness travel skills. Un-plug from those devices and build meaningful relationships with yourself, others and nature. Learn to be a better steward of Planet Earth! Click here for a sample LEAP Itinerary. LEAP is taught by a team of inspired teachers and outdoor educators who have a breadth of experience in outdoor and experiential learning. LEAP opens the door to bigger LEAPs! BIGGER LEAPs open the door to EVEN BIGGER LEAPs! Limited student bursaries available for Powell River students - please inquire! I am graduating from school this June. Can I still take LEAP in July? Sure - if you are under age 18 - why not?! I am enrolled in high school but live outside British Columbia. Am I eligible to receive the 4 credits in Applied Leadership Studies 11 or 12? The transferability of the 4 credits in Applied Leadership Studies 11 or 12 is left to the discretion of your high school’s guidance department. Once you have completed LEAP, a letter will be sent to your high school outlining the course and your grade in the course. Your school will decide from there whether or not these credits will be applied to your high school transcript. Can we use LEAP for our Duke of Edinburgh, Adventurous Journey? Yes indeed! We love working with the great people at the Duke of Edinburgh’s Award. LEAP educators are able to support you through your Adventurous Journey (as well as Skills, Physical Rec and Gold Project) as well as your Practice Journey. Remember, this is a leadership award so the responsibility to meet the qualifications is yours. You can register here. Great question! Please see our Gear List for all the details. I am concerned about my child’s welfare during LEAP. What are the safety procedures in place during LEAP? Staff members take risk management very seriously. All our programs use the Association for Experiential Education’s (AEE) safety accreditation standards. We have Emergency Response Plans (ERP) for every activity and site. Our staff members are certified in either Essential Wilderness First Aid (40 hours) or Advanced Wilderness First Aid (100 hours). Knowledge of our students’ medical history is informed through our medical form. Staff members do background research on all medical conditions, including working with a physician to advise us on student medical conditions. In the rare event of an evacuation from the back country (i.e. hikes and canoe trips), leaders carry 2 first aid kits, communication devices, and an In-Reach locator. Furthermore, student safety is fundamentally a shared responsibility and self-care is an important leadership skill. As a result, wilderness safety is an academic unit we cover with students. This unit focuses on self-care, preparedness, risk-awareness, and prevention. We begin this unit as soon as students arrive and continue the unit throughout LEAP. The safety and well-being of your child is of paramount importance to us! 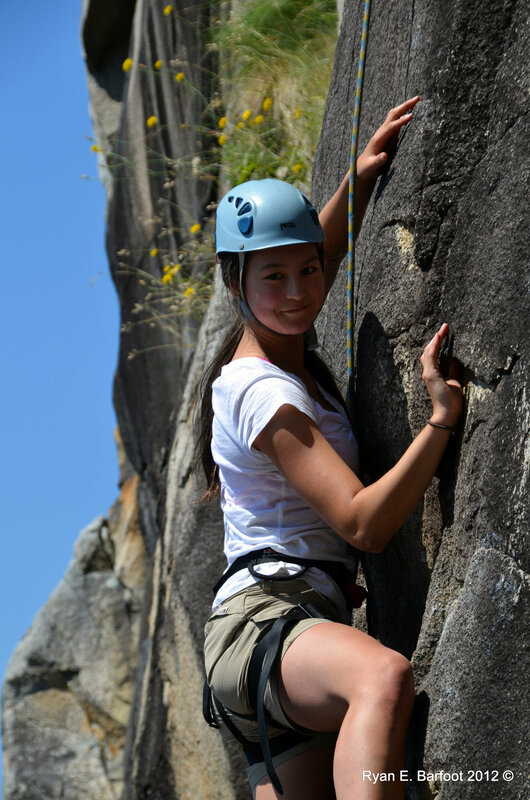 Do you have to have had any previous experience in the specific activity before coming to LEAP? No, you do not need to have experience. All of our programs meet participants "where they are at" and support their growth from there. Be prepared to play and learn at the edge of your comfort zone but know that you will be supported each step along the way. Are limited spots available in the LEAP program for students from outside of BC? There is no limit to the number of students from outside of BC at this point in time. must continue to dynamically respond to changing social conditions.